The official music video for “Doma” by Marija Spasovska has been filmed during the course of the past few days. Filming has been completed for the official music video for “Doma”, the Macedonian entry for Junior Eurovision 2018. Filming of the music video took place during the course of last week and is set to be released in the next few days. 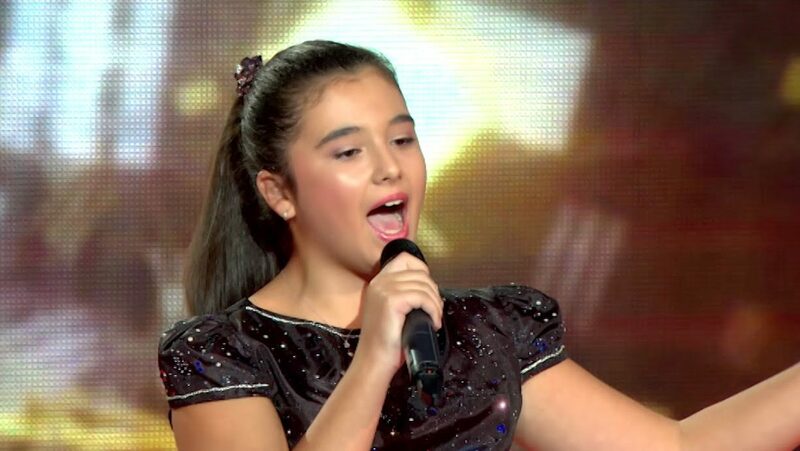 Twelve-year-old Marija Spasovska was born on 10th May 2005 in Skopje, Macedonia. Marija has been singing and performing since she was 4-years-old, and is no stranger to national and international competitions. The young star has multiple awards and diplomas from music festivals, but her most notable performance to date was at the 2017 edition of Slavianski Bazaar in Vitebsk, Belarus. In August, Marija and 9 other candidates attended an audition held at the MRT studios, performing for a chance to represent their county. The jury in charge of selecting the entrant said that Marija had “the best performance and possesses extraordinary singing abilities”. You may want to fix Marija’s birthday. She turned 13 on fifth of October.